What do you know about your audiences? Conducting high-quality market research takes time, effort, and money — often a considerable investment of resources for an arts organization. But, when done well, audience research and impact assessment can benefit staff in virtually every department. The most savvy arts organizations know that good audience research informs decisions in marketing, administration, education, audience engagement, development, and more. And when done really well, it can align organizational and departmental goals and effectively facilitate cross-departmental dialogue and information sharing. 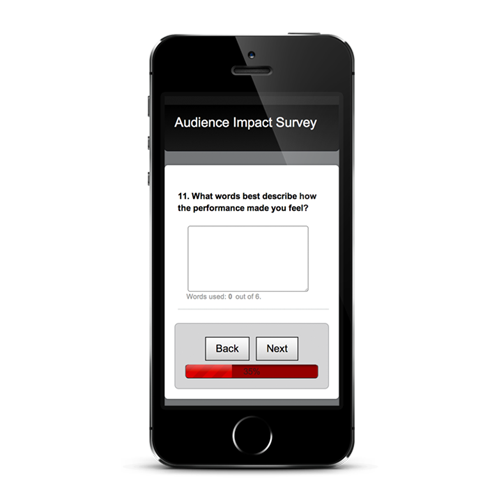 So, are you getting the most out of your audience surveys? Are you asking the right questions to get the data that you need? What is your focus? Impact assessment? Market segmentation? Risk assessment? Audience preferences? Some combination of all of the above? Do you have the demographic information you need to effectively cross-tabulate your survey results for more informed decision-making? Are you able to cross-tab or filter your data easily to gain a deeper understanding of your patrons? Are you surveying frequently enough to get a good cross-section of your audience? Do you have enough data for a stable and reliable sample size, or is your data skewed by a particular type of patron? Do you have enough data to drill down further? Are you leveraging digital resources and online tools for faster data collection and analysis? Once you’ve collected and analyzed your survey data, do you have time to act on the findings before the production has closed? Do you have tools to compare results from multiple surveys against each other or to aggregate multiple years’ worth of data? If you are using paper surveys, where is all the paper going? Do you have the resources to process all those responses in a timely fashion? Or do you have an ever-increasing stack of paper surveys hiding under your desk? There are a number of solutions out there for arts organizations looking to survey audiences, including countless third-party online survey providers. Many of these solutions are free or low-cost and are excellent tools for incidental surveying. But what do you do with the data once you’ve collected it? And what happens if you have audience surveys from an entire season’s worth of programming, or even from multiple years? 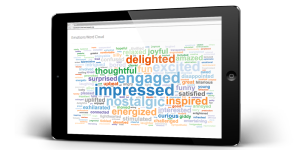 Are you fully leveraging your arts organization’s “big data”? To really make the most of this kind of research, most companies will eventually need a more robust tool for data visualization and analysis. Statistical analysis software tools (such as SPSS) can help you use audience data to make smarter decisions and predict with more confidence. But investing in this kind of software – and, moreover, having the staff and time to operate it effectively – can also be a barrier for many arts organizations. For arts organizations on a budget, you might be surprised at what you can accomplish with an online audience survey and an Excel spreadsheet. Of course, doing this well still takes valuable staff time and energy. But with the right tools and the right people, high-quality research on a budget is definitely possible. On the other end of the spectrum, hiring researchers to conduct a study is always an option, but this approach often comes at a fairly high cost while being finite in scope and timeline. After the project is complete, do you have the capacity to continue the research on your own? A good middle ground that hundreds of arts organizations have discovered is our own Intrinsic Impact program, developed and powered by WolfBrown. 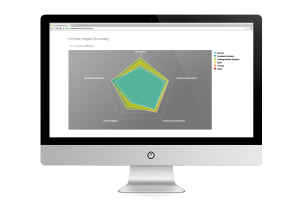 With Intrinsic Impact, you gain the benefits of a custom-built dashboard for visualizing and analyzing data from any survey – plus the ability to combine and compare data from multiple surveys, whether similar or dissimilar. The web-based, fully customized reporting platform allows you to explore your audience data and share with stakeholders across your organization very easily. You also benefit from having the expertise of a high-powered consulting firm but at a fraction of the cost of comparable commissioned studies. Collecting audience feedback and understanding the impact of the work you do is becoming increasingly important, and there are a number of options to consider on how to approach this branch of your work. Consider well how much time you can devote to data collection, analysis, and reporting. 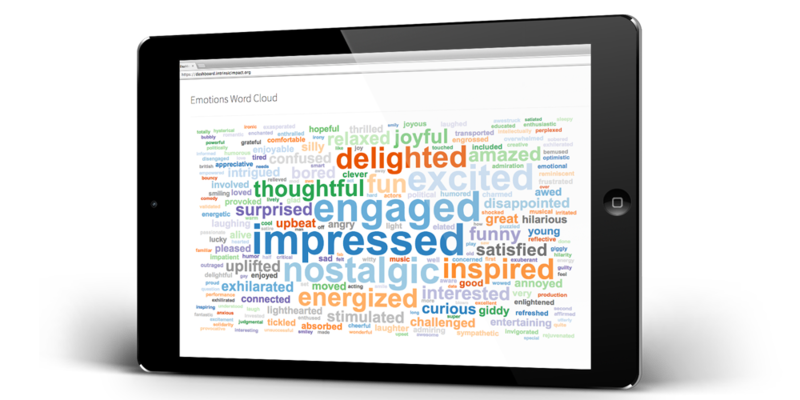 If you’re ready to see how the Intrinsic Impact dashboard can help you get the most from your audience surveys, please contact us for a free demo and initial consultation.